The HMS Victory still serves as a commissioned vessel and is the flagship of the First Sea Lord. Further it is a key visitor attraction within the historic dockyard, receiving in excess of 350,000 visitors per year. Wessex Archaeology followed the same basic principles on conservation management and similar methodology as lined out for the HMS Caroline Conservation Management Plan. However, some particularities of the HMS Victory were especially challenging to overcome. Such as the age of the HMS Victory, a vessel built in the year 1759 that was in active service for over 100 years will have particular needs in regards to conservation and stability. The structural integrity of the vessel had been a notable concern for some time and in detail assessment had to be carried out by Wessex Archaeology to establish the most practical approach. The HMS Victory had experienced an ongoing maintenance and repair approach especially since its relocation as a static exhibit to Dock No. 2 in 1922. This gives an additional perspective to the already rich history of the asset: the history of its restoration and repairs. The difference in techniques used tell the history of conservation approaches for the last two centuries. 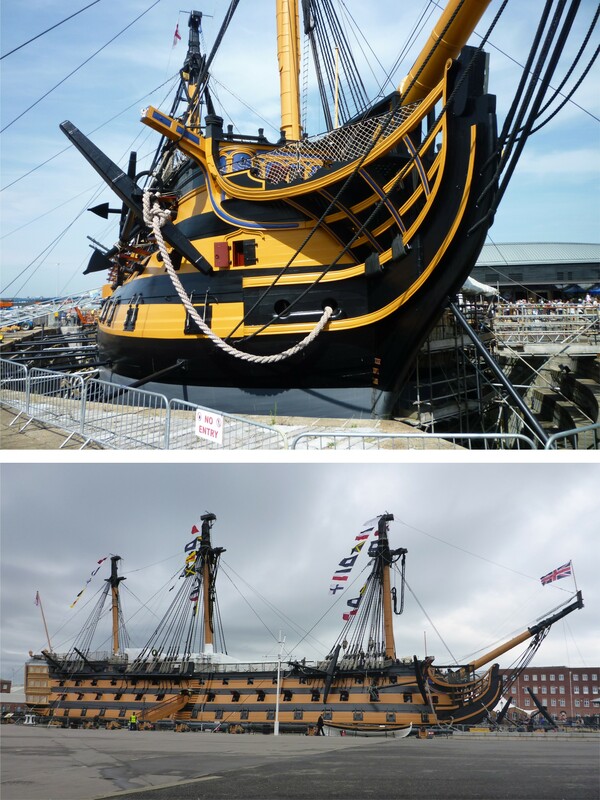 The CMP created by Wessex created a proposal specifically tailored for the vessel to ensure the current and future conservation of the HMS Victory and associated assets. This ensured that the unique heritage asset that is the HMS Victory continues to be publicly available for future generations.